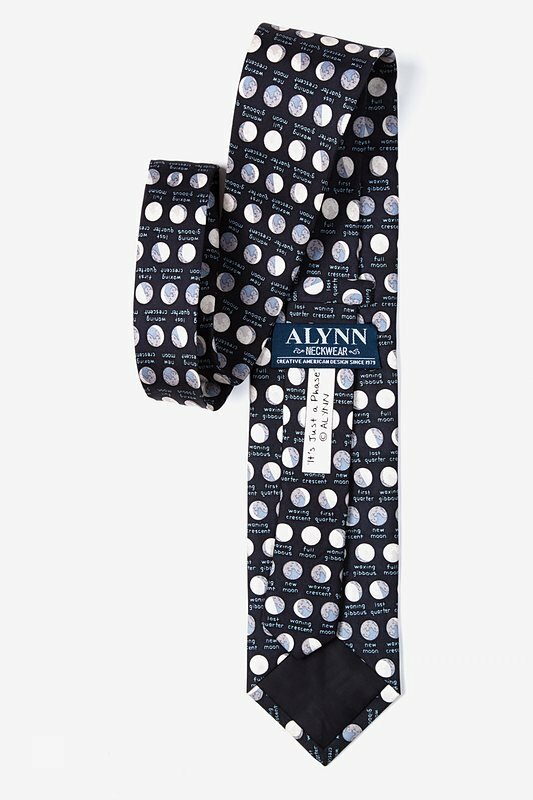 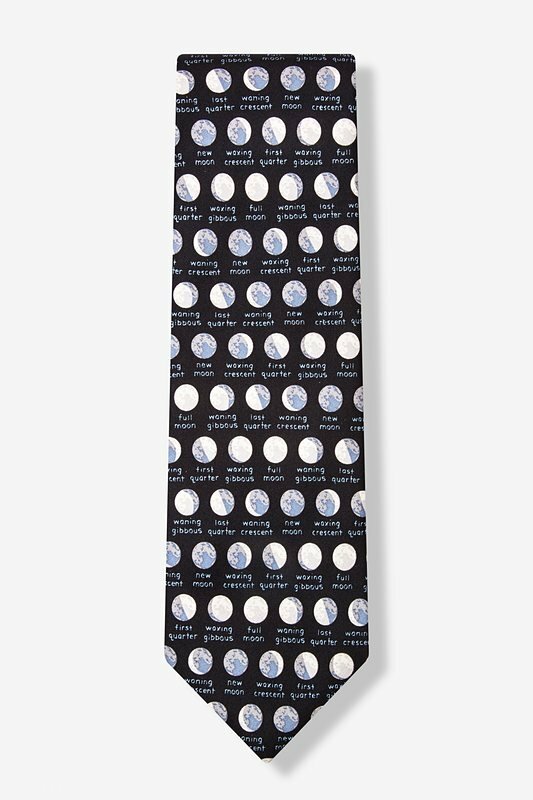 Pass the time with the flow of the moon's phases with Alynn Neckwear's 100% silk It's Just a Phase Tie. 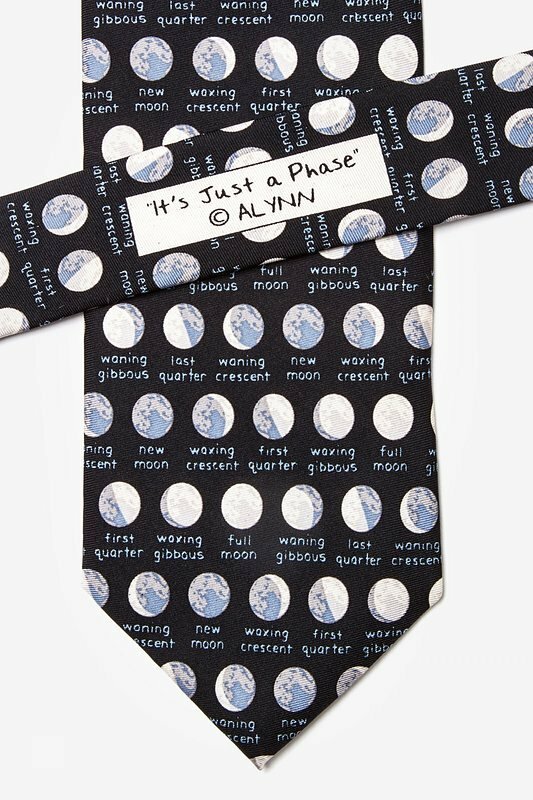 The various phases are patterned in sequence to the moon's tr... read more Pass the time with the flow of the moon's phases with Alynn Neckwear's 100% silk It's Just a Phase Tie. 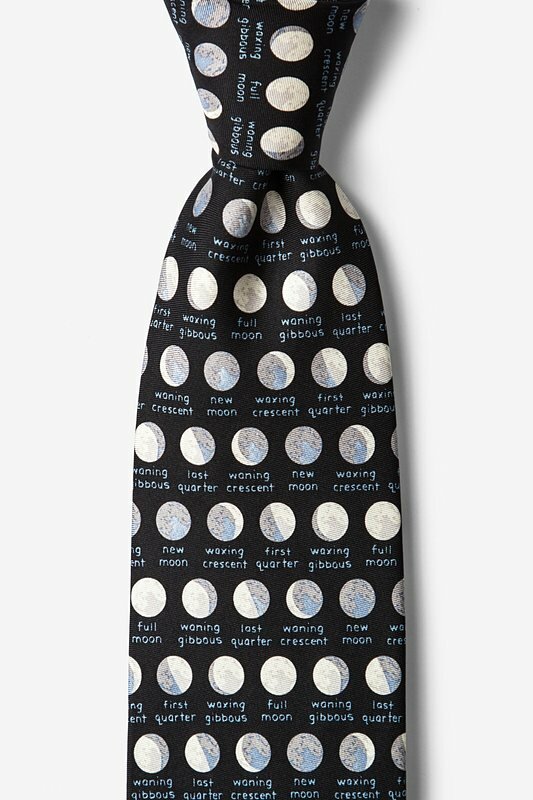 The various phases are patterned in sequence to the moon's true orbit with hues of white, grey, and blue on a silk night sky of black.